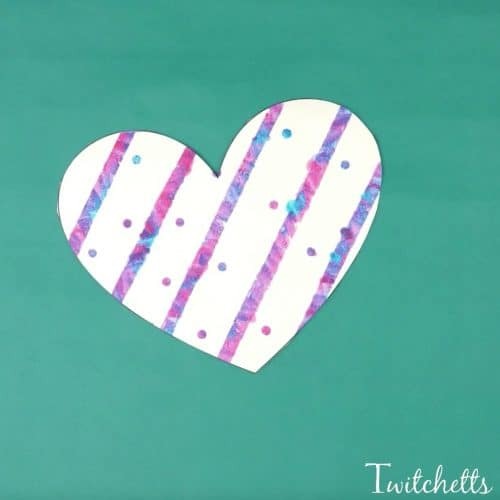 Grab some construction paper and let’s create a painted heart paper craft! 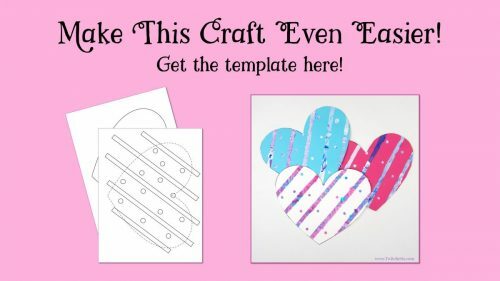 This easy and fun Valentine’s Day craft will make beautiful cards, festive decor, or just a fun afternoon project! I think it’s safe to say that Valentine’s Day is right up there with Christmas in my daughter’s eyes. 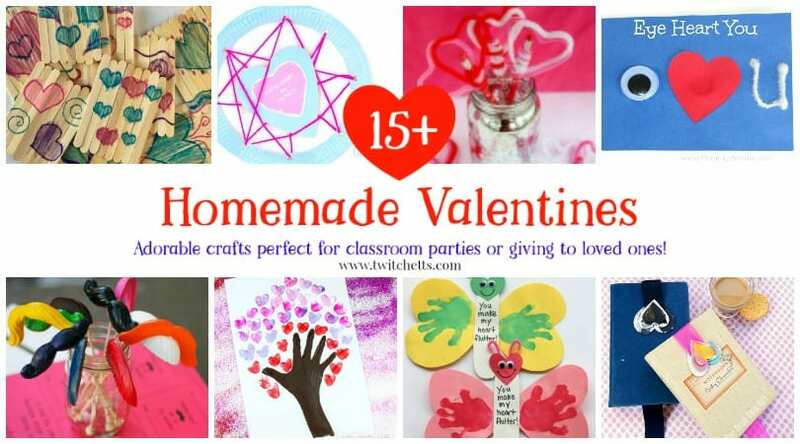 I’m not sure if it’s the pinks and purples in all of our crafts or the hearts, but we start early and celebrate all the way through the 14th. 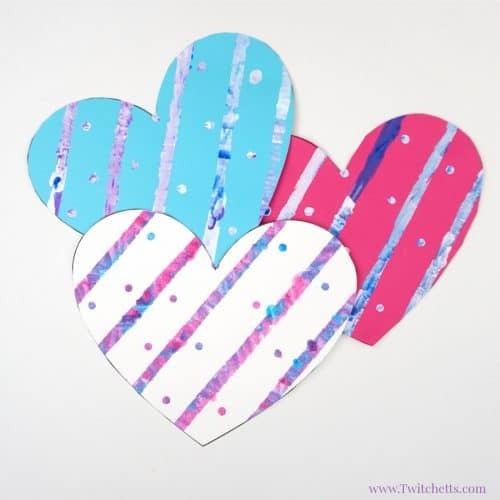 This lovely painted heart paper craft is proudly hanging in our home already this year. 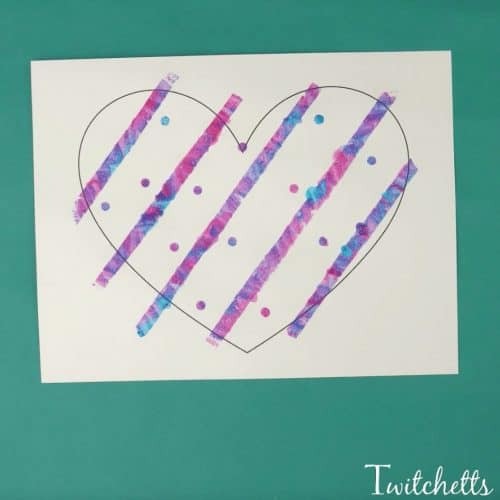 We hope you enjoy this fun Valentine’s Day craft too! 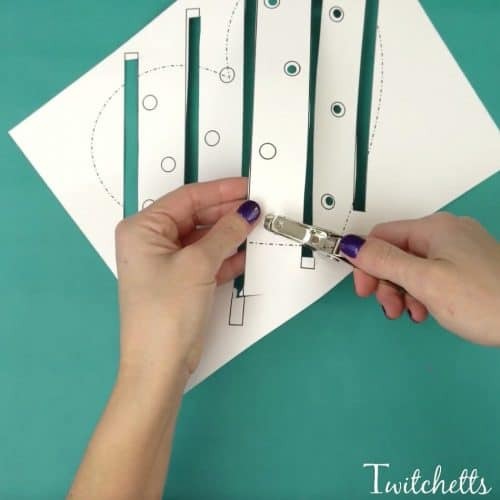 We used this technique once before to create Christmas trees. That was back when V was 3 years old! She enjoyed it just as much a year later. 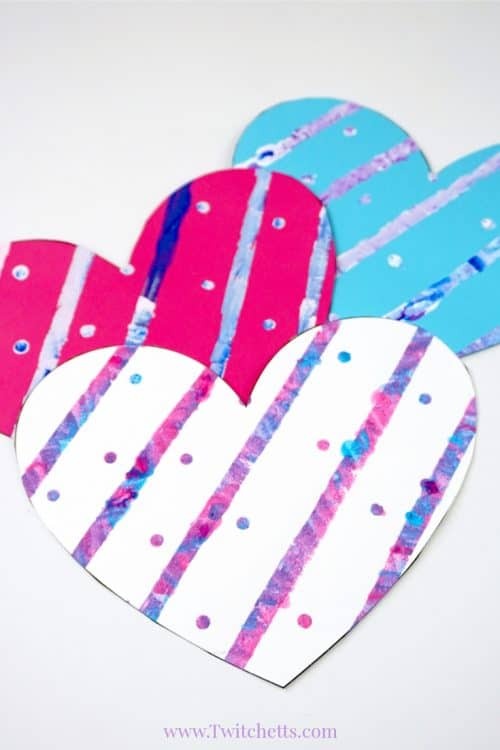 Valentine’s Day crafts that kids will love to create! 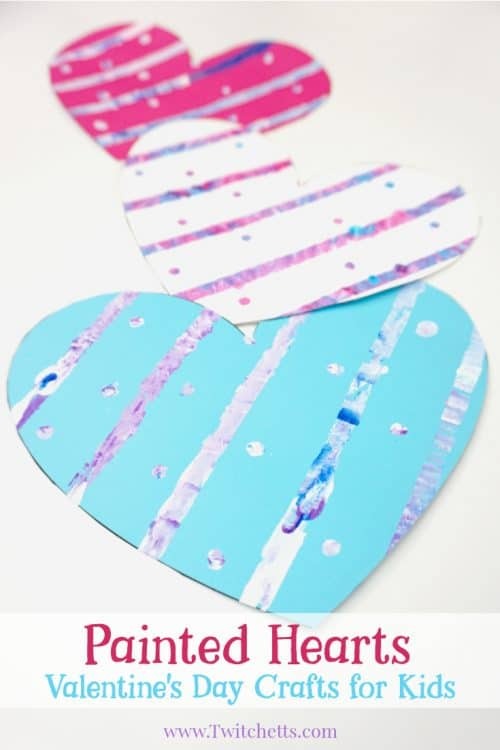 Check out the step by step instructions for the painted heart paper craft. Then see it all in action in the video below. 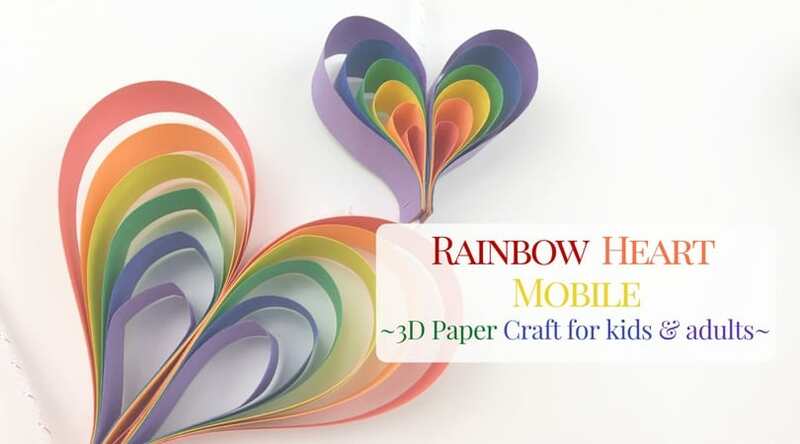 To get started print off both pages of your heart template. Protect your work surface with a piece of cardboard and have an adult use an Exacto knife to remove the rectangle shapes from your template. 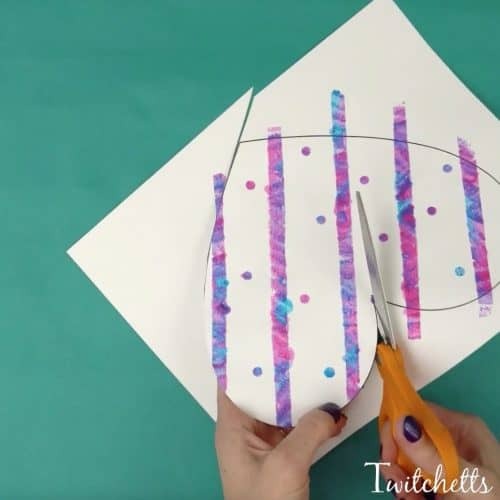 Use a hole punch in each of the circles on the template, you can let the little ones help with this. Tape the plain heart down to your work surface. Then place the cut template on top. 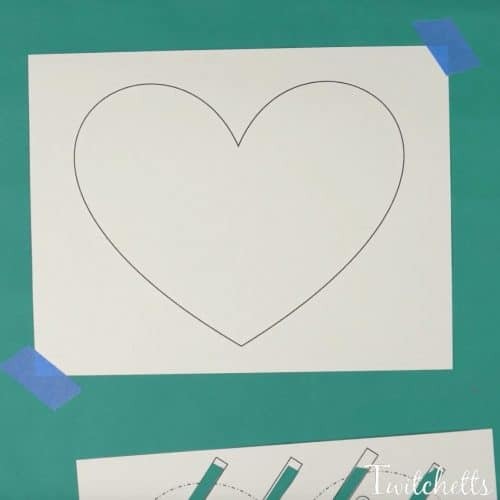 Line up the heart shapes and secure with a few more pieces of tape. 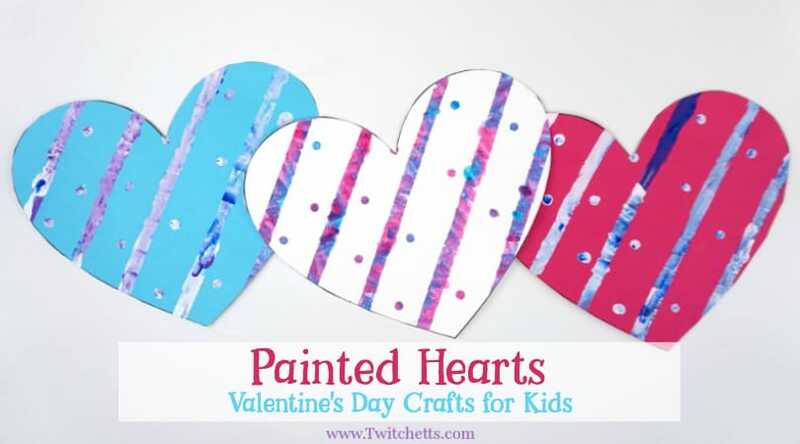 Related Crafts: 11 Heart Art Projects, which one will inspire you? 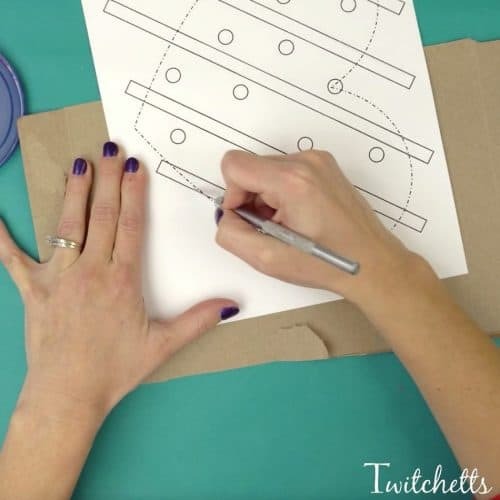 As we mention in our painting with toddlers tips, you should tape down your paint pallet as well. 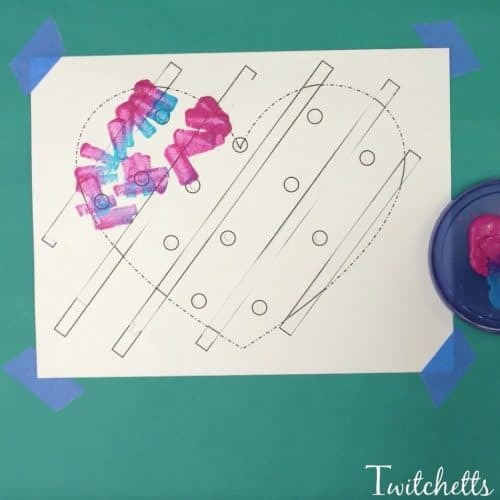 Pick out a couple of paint colors and start dabbing with a foam brush! 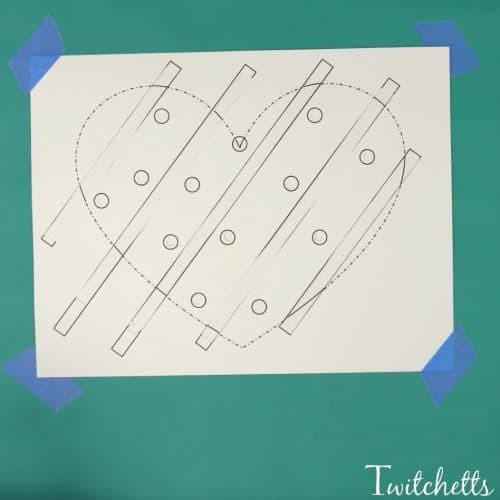 Watch the whole heart art process in action in our video! When the painting is finished remove your top template and allow the bottom heart to dry. Last, cut out the heart. Now you’re done! Each heart will be unique and completely adorable! 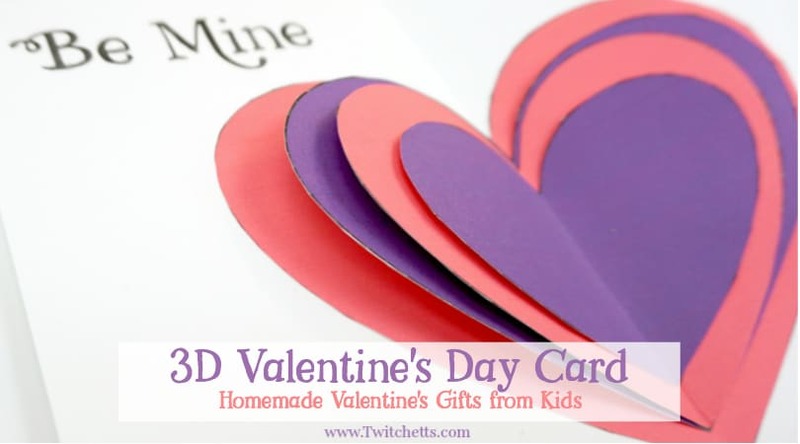 Pin this Valentine’s Day Craft to your favorite Pinterest board!